Among the most popular bags in Eblin's smallest size "TPM" Mini Eblin has arrived. The color is bright yellow color Kiwi! The vivid colored small bag is perfect for accents! With a pochette type, it seems to be active as a little outing and sub bag. 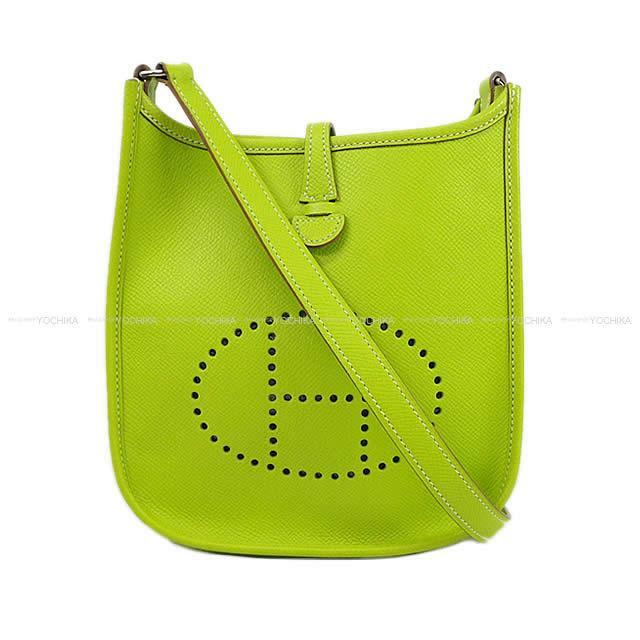 In the center, the Hermes symbol "H" is punched, making it a casual shoulder bag with a classy impression of Hermes. Even casual outfits could be upgraded to a higher rank coordination with Mini Evelyn!